The Homeless Prenatal Program is a nationally-recognized family resource center in San Francisco that empowers homeless and low-income families, particularly mothers motivated by pregnancy and parenthood, to find within themselves the strength and confidence they need to transform their lives. The agency serves 4,000 families annually, providing a variety of programs and services to help families become healthy, stable and self-sufficient. Founded in 1989, HPP first opened its doors in the closet of a homeless shelter located in San Francisco’s Haight-Ashbury district to help provide prenatal care to women who otherwise would not receive it. Over two and a half decades, HPP has become a dynamic agency with a broader mission: in partnership with our families, break the cycle of childhood poverty. This past year has brought so many celebrations at the Homeless Prenatal Program, from baby showers and client graduations to agency galas, and we wouldn’t have had such cause for joy without your support. First and foremost, thank you for giving us, through your generosity, so many occasions to marvel at the strength and courage of our families. This past year was one of reflection and growth for HPP. Over the past year, we invested in ourselves, looking back on our decades of service together with new research and best practices to pave the way for a new strategic approach to service delivery that most effectively and efficiently breaks the cycle of childhood poverty. We held onsite trainings to ensure our case managers have a breadth of skills and deep proficiencies in direct service. We built new internal processes and data structures to better gauge our success and illuminate areas of improvement. Across the agency, we’ve recommitted to families transitioning to parenthood, pledging to invest in both parents and children until all families have what they need to be healthy, housed and stable. This year also brought solemn remembrances in the passing of two beloved HPP staff members. These women were pioneers in their respective program areas, and HPP is undoubtedly stronger because of the legacies they’ve left the agency. I hope you read about Nancy Frappier and Francoise Gorfain and feel inspired by their vision and leadership. Again, please know how grateful we are to you, our supporters, for doing this work with us. Every donation, every event attended, and every conversation you have with a friend about our work helps us to further our mission so that we can continue to invest in our families. Your support is a celebration of our community – thank you. Ongoing support for families facing various challenges related to poverty, including domestic violence, substance abuse, parent-child-separation and immigrant status. Prenatal education classes, alternative health services, post-partum and parenting groups, with a specialized program for women with high-risk pregnancies. Limited, short-term financial assistance and workshops that help families obtain and retain safe and stable housing. On-site individual, couples, family and group therapy for HPP clients. Tax preparation services, one-on-one financial education support, as well as support in accessing public benefits. On-site quality childcare for children while their parents participate in services. HPP also has an outdoor Wellness Garden for young children with specialized curriculum led by child development teachers. Assistance with food, clothing, diapers, baby and children’s items, hotel and transportation vouchers in crisis situations. A year-long job training program that prepares economically disadvantaged women for careers in the nonprofit sector. 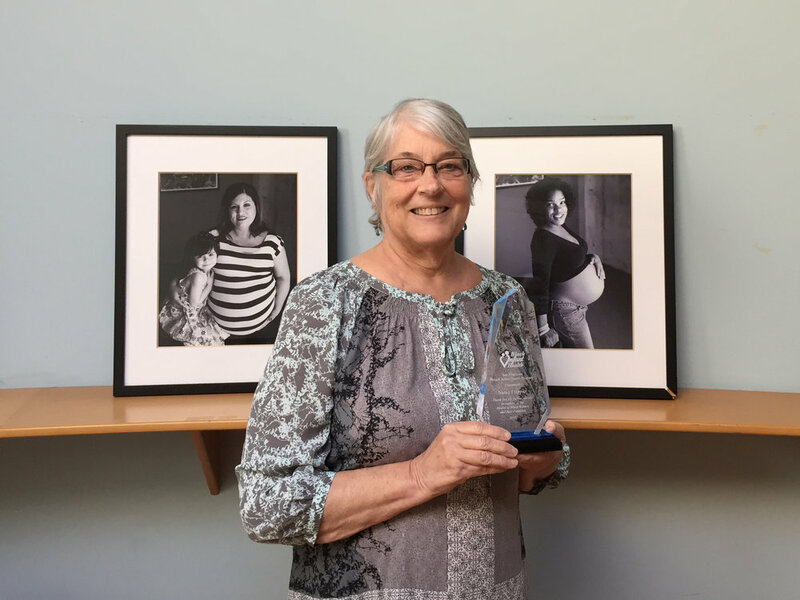 Nancy Frappier, HPP’s beloved colleague and dear friend, passed away in May after a long and courageous battle with lymphoma. Nancy spent 21 years building and directing the agency’s Wellness Center. She created a holistic system of care that supported thousands of poor and homeless mothers deliver healthy babies. Her kind and generous spirit impacted all who crossed her path – clients, staff, community partners and students. She was an extraordinary social worker always seeing the goodness in each person sitting before her; she never stopped trying to help parents and colleagues reach their highest potential. Nancy was firm in her commitment to health equity and social justice. She was humble in acknowledging her numerous accomplishments. Her spirit will live on through the work she began at the Wellness Center, which has been renamed The Nancy Frappier Wellness Center. HPP said farewell to longtime friend Francoise Gorfain in October. Francoise was a preschool teacher at the Lycee Francais de San Francisco. She developed a partnership with HPP wherein the three Lycee campuses would gather pies to distribute for the agency’s Thanksgiving Food Drive. For nearly 20 years, Lycee students have brought over 400 pies – many handmade – to help newly-housed families celebrate their first holiday in their new homes. After her retirement, Francoise joined HPP’s Child Development Team part-time. Here, she had a vision that would transform HPP’s outdoor space, then an awkward concrete slab, into a vibrant, dynamic outdoor space for children and families. With the help of her friend Dorothy Noyon, Francoise built a Wellness Garden complete with children’s instruments, balance pathways and learning areas for play. The Wellness Garden remains a flourishing and re-energizing space, and HPP is delighted to remember Francoise by renaming the space after her. Our sincerest thanks to all partners, sponsors and guests who supported the events listed below. Not only do fundraisers like these provide critical support for the agency – over $500,000 combined – but they help to build a community of support that encourages HPP’s work daily. 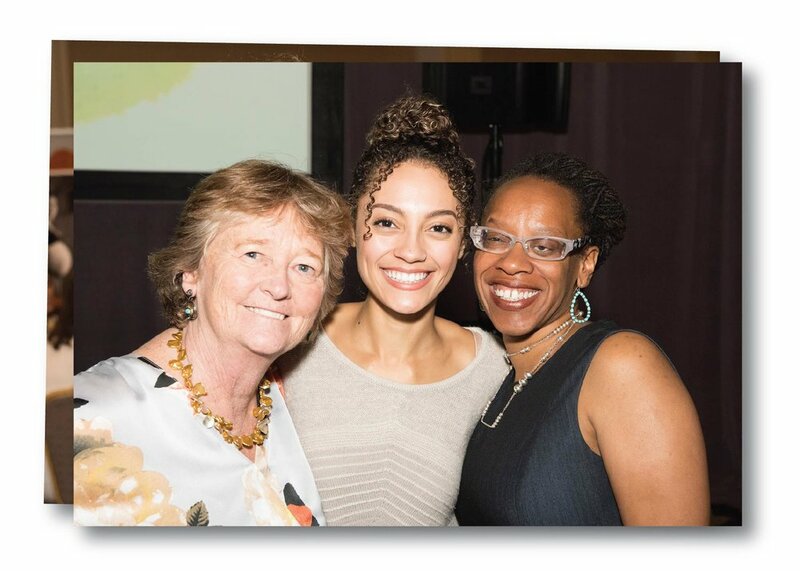 Hosted at HPP, the 23rd annual Our House gala gave a behind-the-scenes look at the agency’s work. 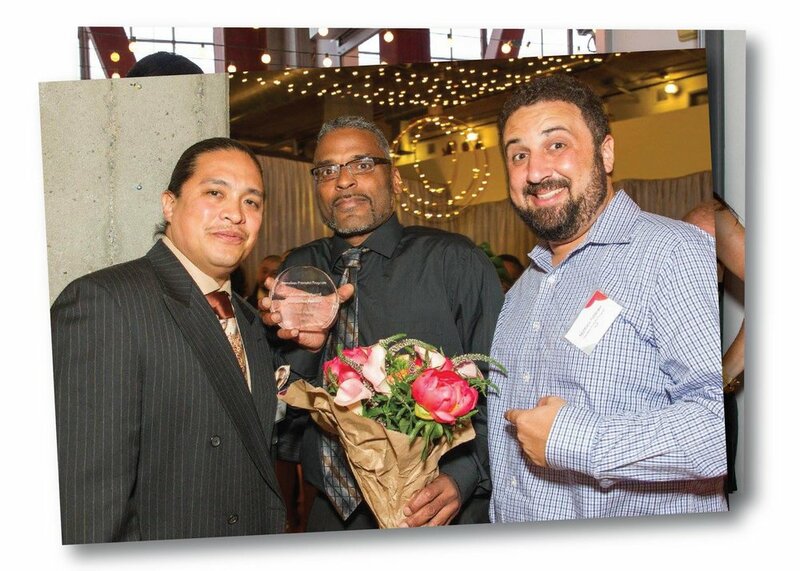 The evening honored Tuft & Needle with a Community Partner Award for their annual donation of over 300 new mattresses to HPP clients moving into stable housing. Our House also celebrated the achievements of Derrick Littles and his family. In the span of two years, Derrick completed a drug rehabilitation program, reunited with his daughter and secured stable housing with his family. After the speaker program, guests bid on silent auction lots and danced the night away with records spun by Heart of Gold’s DJ Ashleyanne Krigbaum. Sponsorship and ticket sales generated over $175K for HPP. 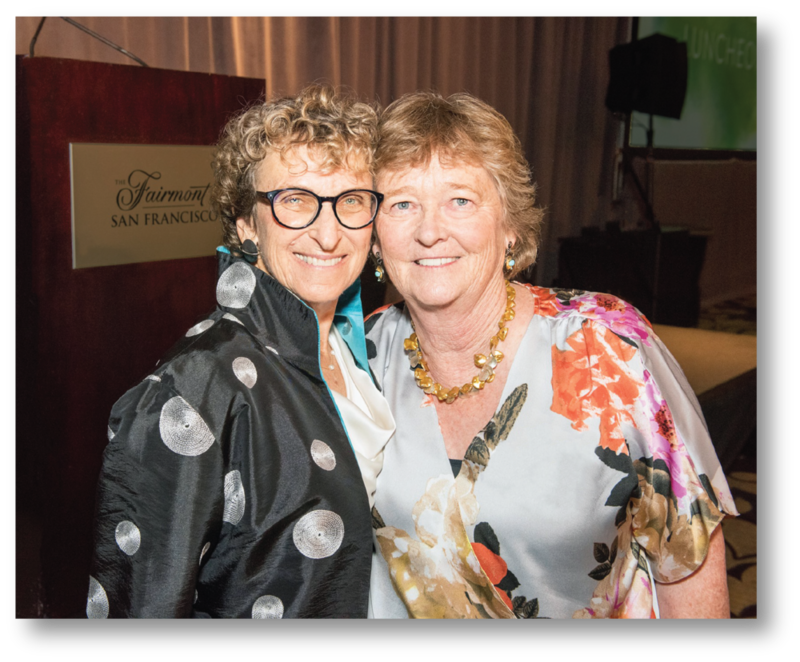 The agency’s 5th Annual Luncheon gathered over 400 philanthropists, city and state government officials and corporate leaders to raise $281K to benefit HPP’s work with low-income and homeless families. 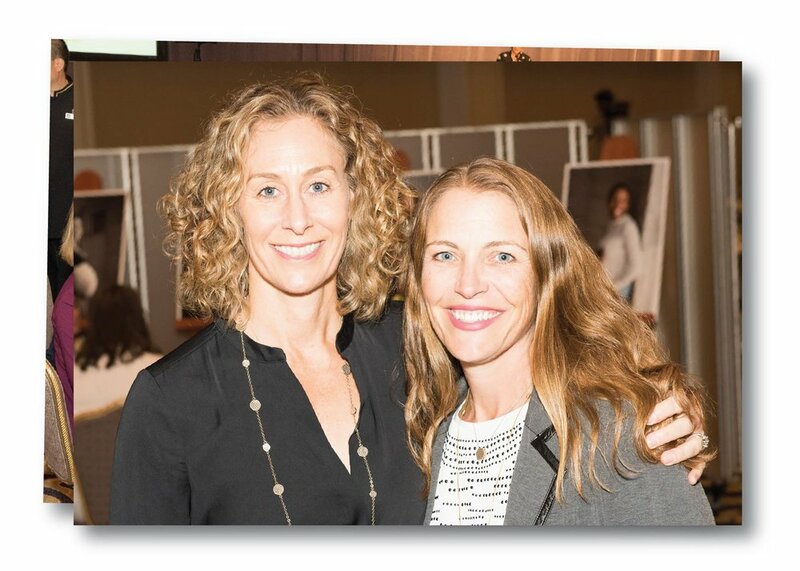 HPP was delighted to honor the achievements of former client and current HPP staff member Christina Hernandez, as well as the partnership of the internationally renowned psychologist Dr. Alicia F. Lieberman and the talents and generosity of family photographer and long-time volunteer Keri Vaca. It was a grand slam for the 4th annual Amici’s Pizza Party this past June. Once again, Bruce and Kim Bochy, together with Amici's East Coast Pizzeria and the San Francisco Giants, hosted a Pizza Party to benefit HPP. Bruce was at both restaurants to sign autographs and take photos, while baseball fans shared pizzas and bought raffle tickets for a chance to win jerseys and wine packages. All in all, the event raised over $40K to benefit HPP! Thank you to Keri Vaca, Randi Brown Jacobs, Ian Tuttle, Katya Mizrahi, Ryan & Kevin Kendrick, and Madison Smith for contributing photos and video. All images and materials are copyright protected and are the explicit property of Homeless Prenatal Program. Please contact jessicainiguez@homelessprenatal.org for permissions. Homeless Prenatal Program 2017 HPP is a 501(c)(3) tax-exempt organization with Federal Tax I.D. #94-3146280.